South Korea is a sovereign state located in East Asia, with 92% of highly urbanized society. They are known to lead a particular urban lifestyle, and half of Koreans live concentrated in Seoul Capital are which has 25 million residents. Korea is the country with rich history. Its name was derived from one of the earliest examples of Korean pottery which dates to 8000 BC. Korean rich and vibrant culture is also recognized with 19 UNESCO Intangible Cultural Heritages of Humanity, which makes it the third largest in the world, together with 12 World Heritage Sites. Korea was also a part of Imperial Japan in 1910, and it was divided only after its surrender in 1945. Seoul is the world’s sixth leading global city. Furthermore, it is the city with the fourth largest economy, and it is also declared to be the seventh most sustainable city in the world. 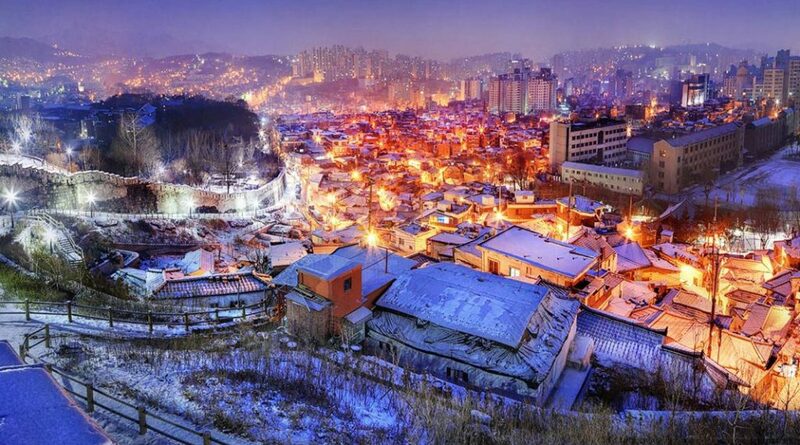 Seoul or Seul is also formerly known as Hanseong, Keijo, and Gyeongseon. It is the largest metropolis of the Republic of Korea, and it is the heart of the Seoul Capital Area. This area includes the surrounding metropolis and provinces Incheon and Gyeonggi. Also, Seoul is the world’s 16th largest city. As it was previously mentioned, it houses up to half of the entire population of South Korea with 50.22 million people and 678,102 international residents. Seoul is located on the Han River, and it was founded in 18 BCE by the Baekje Kingdom, one of the historical Three Kingdoms of Korea. It was also the capital of Korea during the Joseon Dynasty. Its rich history is also apparent supported by the fact that the Seoul Capital Area alone contains five UNESCO World Heritage Sites such as Changdeok Palace, Hwaseong Fortress, Jongmyo Shrine, Namhansanseong and the Royal Tombs of the Joseon Dynasty. The city is surrounded by mountains with tallest one being Mt. Bukhan. Bukhan is also the world’s most visited national park per square foot. Considering modern landmarks, the metropolis includes the iconic N Seoul Tower, as well as the gold-clad 63 Building Sevit Floating Islands, and the neo-futuristic Dongdaemun Design Plaza. Furthermore, there is the Lotte World which is the world’s second largest indoor theme park and Moonlight Rainbow Fountain as the world’s longest bridge fountain. Seoul is also the birthplace of K-pop and the Korean Wave, which particularly attracts international visitors to South Korea.